I've collected brooches since I was a teen. My grandmother's, my mom's, vintage, contemporary, sparkly gems, classic pearls -- I have a case full of them. 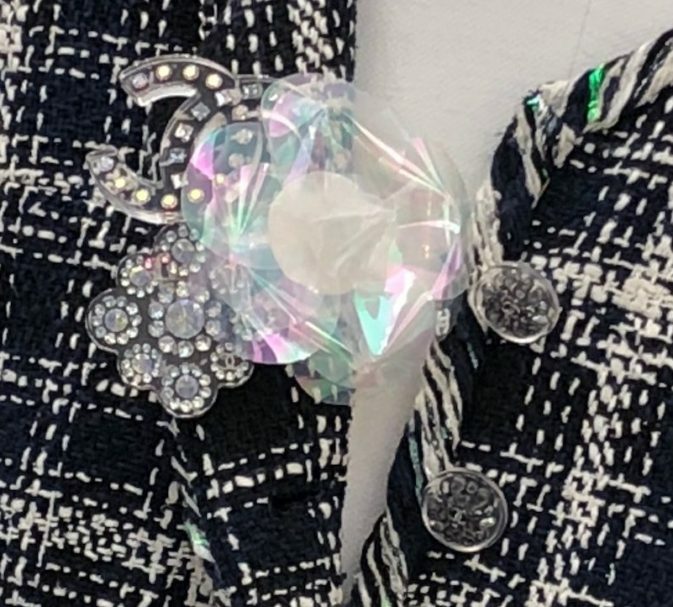 So, when on my recent trip to Paris, I saw gorgeous brooches both alone and in clusters popping up on tweed jackets at Chanel, I got excited to pull out my stash and start playing. While the translucent Chanel flower is covetable, I have a few flowers that serve beautifully as an anchor brooch surrounded by a colorful pin and another metallic one. Three brooches clustered together in different shapes and sizes, but complementary materials and colors, is a fun way to ...Read more. We're counting down the days until summer vacation starts and pool season officially arrives. Hats have thankfully become a must-have accessory in our warm-weather wardrobe. After all, it's a fact that too much sun exposure plays a major role in aging our skin. 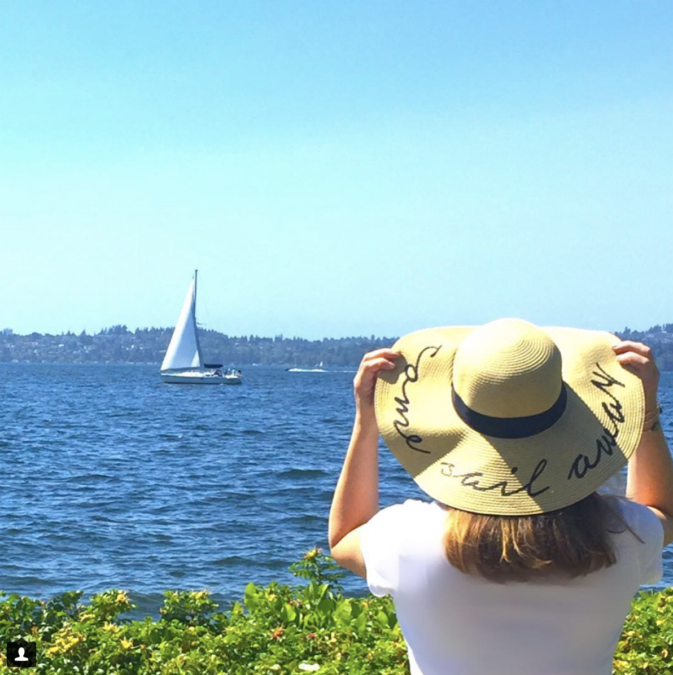 Not only are the right sunhats super chic, they also help fend off wrinkles, sun spots and skin cancer on our face better than any product can. Of course, both a hat AND sunscreen are critical, but there's no substitute for simply covering up. We went on the hunt for the cutest hats under $100 and here's what we found. ...Read more.